Software RSS — this channel sends notifications on two occasions: new article has been published in Software section, new update has been announced in Software Updates section (most likely, this is what you are looking for on my site). Changle Log RSS — notifies of new announcement in left sidebar of my site. 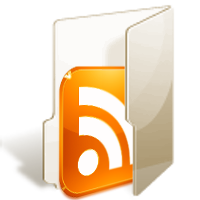 Blog RSS — notifies of new article in Blog section of my site. Archives RSS — notifies of new article in Archive section of my site. Last updated on 2012-01-30, 21:03. Copyright © 1999-2019 Aleksander Maksymiuk.